Before we can talk about Passover, we need some scriptural background and a few words defined. A primitive root; to hop, that is, (figuratively) skip over (or spare); by implication to hesitate; also (literally) to limp, to dance: - halt, become lame, leap, pass over. The Passover passage of scripture starts in Exodus 11 with the last of the plagues that Yahweh sends into Egypt. (1) The LORD said to Moshe, "Yet one plague more will I bring on Par`oh, and on Egypt; afterwards he will let you go. When he lets you go, he will surely thrust you out altogether. (2) Speak now in the ears of the people, and let them ask every man of his neighbor, and every woman of her neighbor, jewels of silver, and jewels of gold." (3) The LORD gave the people favor in the sight of the Egyptians. Moreover the man Moshe was very great in the land of Egypt, in the sight of Par`oh's servants, and in the sight of the people. (5) and all the firstborn in the land of Egypt shall die, from the firstborn of Par`oh who sits on his throne, even to the firstborn of the female servant who is behind the mill; and all the firstborn of livestock. (6) There shall be a great cry throughout all the land of Egypt, such as there has not been, nor shall be any more. (7) But against any of the children of Yisra'el a dog won't even bark or move its tongue, against man or animal; that you may know that the LORD makes a distinction between the Egyptians and Yisra'el. (2) "This month shall be to you the beginning of months. It shall be the first month of the year to you. (4) and if the household be too little for a lamb, then he and his neighbor next to his house shall take one according to the number of the souls; according to what everyone can eat you shall make your count for the lamb. (6) and you shall keep it until the fourteenth day of the same month; and the whole assembly of the congregation of Yisra'el shall kill it at evening. (7) They shall take some of the blood, and put it on the two doorposts and on the lintel, on the houses in which they shall eat it. (8) They shall eat the flesh in that night, roasted with fire, and matzah. They shall eat it with bitter herbs. (9) Don't eat it raw, nor boiled at all with water, but roasted with fire; with its head, its legs and its inner parts. (10) You shall let nothing of it remain until the morning; but that which remains of it until the morning you shall burn with fire. (11) This is how you shall eat it: with your waist girded, your shoes on your feet, and your staff in your hand; and you shall eat it in haste: it is the LORD's Pesach. (12) For I will go through the land of Egypt in that night, and will strike all the firstborn in the land of Egypt, both man and animal. Against all the gods of Egypt I will execute judgments: I am the LORD. (13) The blood shall be to you for a token on the houses where you are: and when I see the blood, I will pass over you, and there shall no plague be on you to destroy you, when I strike the land of Egypt. (14) This day shall be to you for a memorial, and you shall keep it a feast to the LORD: throughout your generations you shall keep it a feast by an ordinance forever. (15) "'Seven days shall you eat matzah; even the first day you shall put away yeast out of your houses, for whoever eats leavened bread from the first day until the seventh day, that soul shall be cut off from Yisra'el. (16) In the first day there shall be to you a holy convocation, and in the seventh day a holy convocation; no manner of work shall be done in them, except that which every man must eat, that only may be done by you. (17) You shall observe the feast of matzah; for in this same day have I brought your armies out of the land of Egypt: therefore shall you observe this day throughout your generations by an ordinance forever. (18) In the first month, on the fourteenth day of the month at evening, you shall eat matzah, until the twenty first day of the month at evening. (19) Seven days shall there be no yeast found in your houses, for whoever eats that which is leavened, that soul shall be cut off from the congregation of Yisra'el, whether he be a foreigner, or one who is born in the land. (20) You shall eat nothing leavened. In all your habitations you shall eat matzah.'" (21) Then Moshe called for all the elders of Yisra'el, and said to them, "Draw out, and take lambs according to your families, and kill the Pesach. (22) You shall take a bunch of hyssop, and dip it in the blood that is in the basin, and strike the lintel and the two doorposts with the blood that is in the basin; and none of you shall go out of the door of his house until the morning. (23) For the LORD will pass through to strike the Egyptians; and when he sees the blood on the lintel, and on the two doorposts, the LORD will pass over the door, and will not allow the destroyer to come in to your houses to strike you. (24) You shall observe this thing for an ordinance to you and to your sons forever. (25) It shall happen when you have come to the land which the LORD will give you, according as he has promised, that you shall keep this service. (27) that you shall say, 'It is the sacrifice of the LORD's Pesach, who passed over the houses of the children of Yisra'el in Egypt, when he struck the Egyptians, and spared our houses.'" The people bowed their heads and worshiped. (28) The children of Yisra'el went and did so; as the LORD had commanded Moshe and Aharon, so they did. These instructions that the Father gave to Israel was a set time for something to happen. We see more of these set times in Scripture. They are in Leviticus 23 and they are called “Moedim”. Which is from the Hebrew word “moed”. So, we see in Leviticus 23. A recap so to speak of, what was given in Exodus chapters 11 and 12. (2) "Speak to the children of Yisra'el, and tell them, 'The set feasts of the LORD, which you shall proclaim to be holy convocations, even these are my set feasts. (3) "'Six days shall work be done: but on the seventh day is a Shabbat of solemn rest, a holy convocation; you shall do no manner of work. It is a Shabbat to the LORD in all your dwellings. (4) "'These are the set feasts of the LORD, even holy convocations, which you shall proclaim in their appointed season. (5) In the first month, on the fourteenth day of the month in the evening, is the LORD's Pesach. (6) On the fifteenth day of the same month is the feast of matzah to the LORD. Seven days you shall eat matzah. (7) In the first day you shall have a holy convocation. You shall do no regular work. (8) But you shall offer an offering made by fire to the LORD seven days. In the seventh day is a holy convocation: you shall do no regular work.'" These appointed times are called feasts to Yahweh. These are set appointed times were the creator of heaven and earth asked us to gather for a feast for him and to remember what he has done for us. So according to Exodus chapter 12, the children of Israel had to choose a lamb on the 10th of the month. It had to be a lamb without blemish and no defects. They had to keep the lamb and examine it carefully to make sure that it was pure and would be able to serve as the Passover lamb for their household. Once the lamb was slaughtered the blood was caught in was applied to the mezuzot, or doorposts, of the home. The side of the door is called mezuzah. On many people's homes, you will see a small box or container or cylinder on the doorpost. That box is called a mezuzah. A more literal translation of that would actually be the doorpost itself. Not just the box that you put on it. (8) You shall bind them for a sign on your hand, and they shall be for symbols between your eyes. (9) You shall write them on the door posts of your house, and on your gates. So when you see the mezuzah on the door. It literally is a fulfillment of Deuteronomy 6 verse nine. In this regard, the blood of the lamb was applied to the doorpost. Do you see the connection? This is one fulfillment of Yeshua and a picture of him. If John said in the beginning was the word the word was with God in the word was God and the Word became flesh and dwelt among us. Then Yeshua is the living Word of God. We also have the picture of Yeshua being the Passover lamb. The blood of the Passover lamb was applied to the doorpost, which is the same place the word was applied. The blood and the word work together for the covering of the household. Did God need to see the blood over the doors of the children of Israel, in order to know who the children of Israel were? No he did not, but the blood was a sign that was given to the children of Israel. All the father asked for was obedience to his word. If you are obedient, then redemption was brought to your household. If you are disobedient to the word that he gave them the firstborn of the household perished that night. (11) They overcame him because of the Lamb's blood, and because of the word of their testimony. They didn't love their life, even to death. Even one is on the mezuzah itself is a representation of what the father did for his children during this time. On the mezuzah is a Hebrew letter, that letter is “Shin”. It looks almost like a W. That letter is the first letter of the word Shaddai. We've are the stories of Abraham and how God revealed himself to him as El Shaddai. We know that as the Almighty God, the God who provides. so all this put together says El or God is the key poor or watchman of the doors of Israel, where was the blood applied again? So now back to the Passover story the blood was applied, and they had to eat the lamb. They were to eat the lamb with bitter herbs and matzoh. They were to eat it fully clothed with their shoes on their belt around her waist staff in their hand and ready to leave. The father knew that when there deliverance came it would be quick. We've all heard that Yeshua was the lamb of God. We see this in the Passover telling. John testified of Yeshua and John one verse 29 when he said, behold the Lamb of God, who takes away the sin of the world. Truly Yeshua was, the lamb who provided the covering and protection for us. Before we continue with this discussion, I want to give you some Scripture of how Yeshua the Messiah fulfilled the things that were being prophetically spoken during the first Passover. 1) Exodus chapter 12 verses one to says that this feast marks a new year a beginning for Israel. a) 2 Corinthians 5 verse 17 says therefore if anyone is united with Messiah. He is a new creation the old has passed and look what is common is fresh and new. 2) Exodus chapter 12 verse five says that a male lamb in its first year was taken to the home on the 10th of Nisan for the purpose of being closely inspected to see if there were any blemishes. If it was without defect it was been sacrificed were given on the 14th of the month. a) First Peter one verse 19 says Yeshua was inspected. We see that bike Pilate in Matthew 27 verse 11 by Herod in Luke chapter 23 verses 8 to 12 by Annas in John chapter 18 verses 12 and 13. By Caiaphas in Matthew chapter 26 verse 57. None of them could find fault in him truly, He is the lamb without blemish and defect. 3) Exodus chapter 12 verse six states that the whole community of God's people were required to participate in the Passover event. a) Romans three verses 21 to 26 says receiving the sacrificed her Yeshua will gather you and to be a part of the family of Israel. 4) Exodus 12 verses 7, 12 and 22 state that the blood of the sacrificed Lamb was applied to the door frame the lintel and the sideposts because of the covering of the blood the houses or the household was spared from the plague. It was a protection for them and a sign for all to see. a) John one verse 29, says a Yeshua shed his blood to rescue an atonement for his people. We need to be covered or justified by the blood of the Lamb in order to be rescued from condemnation. Yeshua is the lamb that takes away the sins of the world. 5) Exodus chapter 12 verse 14 says that the Passover was to be kept as a remembrance for ever. a) Luke 22: 19 during the Last Supper Yeshua referred to the bread is my body given for you do this in remembrance of me. b) Hebrews chapter 7 says that Yeshua is a Cohen forever, and he is the high priest forever, because his position did not pass on to somebody else he is still alive. 6) Exodus chapter 12 verse 46 Yahweh commanded Israel not to break any bones of the sacrificed Lamb. a) John chapter 19 verses 32 and 33 state that to speed up Yeshua's death the Roman soldiers were going to break his legs. However, Jesus was already dead, so his bones remained unbroken. As the story continues, we see more pictures of Yeshua. Passover was one day. But connected with Passover, You have three separate feasts. The first of which is Passover. The second is the feast of unleavened bread in the third is firstfruits. For the feast of unleavened bread the children of Israel were to eat matzoh for seven days. This was done to remind them that they did not have time to let their bread rise. They had to leave now because God was moving in their life Now. If you love get a piece of matzoh, you will notice a couple things about it. The first thing is that it is not leavened in Scripture, we noticed that leaven is perceived as sin. In Yeshua our Messiah. There was no sin in him. 1 John 3:5 You know that he was revealed to take away our sins, and in him is no sin. Paul was stating to the Corinthians, to keep themselves pure, and he related this to the Scripture regarding Passover. (6) Your boasting is not good. Don't you know that a little yeast leavens the whole lump? (7) Purge out the old yeast, that you may be a new lump, even as you are unleavened. For indeed Messiah, our Pesach, has been sacrificed in our place. (8) Therefore let us keep the feast, not with old yeast, neither with the yeast of malice and wickedness, but with the matzah of sincerity and truth. Something else you will also notice about matzoh is that it is striped and is pierced and to eat it, it is broken. We see more of this and Isaiah chapter 53. (5) But he [was] wounded for our transgressions, [he was] bruised for our iniquities: the chastisement of our peace [was] upon him; and with his stripes we are healed. (11) and he shall wave the sheaf before the LORD, to be accepted for you. On the next day after the Shabbat the Kohen shall wave it. (12) On the day when you wave the sheaf, you shall offer a male lamb without blemish a year old for a burnt offering to the LORD. (13) The meal offering with it shall be two tenth parts of an efah of fine flour mingled with oil, an offering made by fire to the LORD for a sweet savor; and the drink offering with it shall be of wine, the fourth part of a hin. (14) You shall eat neither bread, nor roasted grain, nor fresh grain, until this same day, until you have brought the offering of your God. This is a statute forever throughout your generations in all your dwellings. (16) even to the next day after the seventh Shabbat you shall number fifty days; and you shall offer a new meal offering to the LORD. Yeshua our Messiah arose from the grave on this feast of firstfruits and he presented himself as the firstfruit offering to the father so that we could be presented to the father as holy. Romans 11 verse 16 says that the bread offered as the firstfruit is holy, so is the whole batch and if the root is holy, so are the branches. Rabbi Shaul, the apostle Paul, was telling us that Yeshua was our first fruit, because we know he is also the root. First Corinthians 15 verse 20 says the fact is Messiah has been raised from the dead the firstfruits of those who have died. First Corinthians 15 verse 23 but each in his own order the Messiah is the firstfruits than those who belong to Messiah at the time of his coming. This year, as we come to the spring feasts of the Lord, let's come with the heart of reverence and all to serve the one true God and the honor him and to receive by his spirit. The true living word. May it dwell inside of us and continue to grow. May his word truly be written on our hearts so that we will walk in it. · like a herd in its pasture -- it will hum with the sounds of people." Isn’t it exciting that we are to be gathering people into the family of Yahweh! In order to be gathering, we must be equipped to gather with the proper “tools.” How much easier is a job when you have the right tools for the job? One of those tools is the ear to hear. There are a lot of voices whirling around you. Which one will you listen to? There are many well intending people who are very eager to give you advice. When you have many voices in your life, which do you hearken to? With all the voices around you, you must be able to discern and distinguish which voice is the voice you need to hear. (7) Even things without life, giving a voice, whether pipe or harp, if they didn't give a distinction in the sounds, how would it be known what is piped or harped? (8) For if the shofar gave an uncertain sound, who would prepare himself for war? Something we all need to realize is we are sheep. As sheep, we are gathered up and put in a sheep pen. When you get a lot of sheep together it gets loud. Micah 2:12 says that it will hum from the sound. The KJV says they shall make great noise by reason of [the multitude of] men. It is obvious to say that when you have this many sheep together it is highly unlikely that they are all doing things in unison. When you get a large group of people together, what is the likelihood of all of them agreeing on the same thing? What about desiring to move in the same direction? There are always a multitude of opinions on what you should do. The testimony of the sheep is that they listen to the shepherd. Yeshua said that His sheep, will listen to Him. (1) "Yes, indeed! I tell you, the person who doesn't enter the sheep-pen through the door, but climbs in some other way, is a thief and a robber. (2) But the one who goes in through the gate is the sheep's own shepherd. (3) This is the one the gate-keeper admits, and the sheep hear his voice. He calls his own sheep, each one by name, and leads them out. -- and the sheep follow him because they recognize his voice. The sheep pen is for training and protection. It is safe within the pen. Even though it often gets loud in life, we need to be able to hear the voice of our Master, Yeshua. There will be times when a wolf, some other predator, or even a different shepherd will try to come into the pen. Our Father is faithful and He will protect His sheep and speak to them. There are times when we tend to wander off, just like sheep do. In these times our Shepherd will come and get our attention and show us the way back to the pen or pasture. For you used to be like sheep gone astray, but now you have turned to the Shepherd, who watches over you. It is important for us to have a shepherd. We happen to have the best there is! His name is Yeshua! The desire of the Father was for His Son to come and gather His sheep. At this time, Israel had many rabbis and teachers but no shepherd. (17) to go out and come in ahead of them, to lead them out and bring them in, so that Adonai's community will not be like sheep without a shepherd." When Moses was informed that he would die in the wilderness and that he would not be leading Israel into the land, he asked for a shepherd to replace him. It was important to him that Israel continue to have someone to lead them. When Yeshua looked at the crowds of people he saw sheep with no shepherd. He then began to teach them what the shepherds should have been teaching. When Yeshua came ashore, he saw a huge crowd. Filled with compassion for them, because they were like sheep without a shepherd, he began teaching them many things. The truth is, we don’t really want a shepherd. We want to do our own thing and want the Father to bless it. What we need to understand is our great shepherd wants to bless us. Can we really expect blessing when we don’t listen. Yeshua said that His sheep hear His voice. If we really are hearing His voice, then we will be following Him. In order to truly follow, we need to understand who we are. We have been brought into a place of covenant with the Most High. When we turn from our old selfish desires and realize that we do not belong to ourselves but to Yahweh, we understand that yes we are sons and joint-heirs, but we are also sheep. (31) For when ye offer your gifts, when ye make your sons to pass through the fire, ye pollute yourselves with all your idols, even unto this day: and shall I be enquired of by you, O house of Israel? [As] I live, saith the Lord GOD, I will not be enquired of by you. (38) And I will purge out from among you the rebels, and them that transgress against me: I will bring them forth out of the country where they sojourn, and they shall not enter into the land of Israel: and ye shall know that I [am] the LORD. The prophet Ezekiel sounds very reminiscent of Leviticus 27. (32) " 'All the tenth from the herd or the flock, whatever passes under the shepherd's crook, the tenth one will be holy to Adonai. (33) The owner is not to inquire whether the animal is good or bad, and he cannot exchange it; if he does exchange it, both it and the one he substituted for it will be holy; it cannot be redeemed.' "
(34) These are the mitzvot which Adonai gave to Moshe for the people of Isra'el on Mount Sinai. You are the ones whom the Father has called out as holy! HIS SHEEP! HIS SONS! HIS PRIESTS! 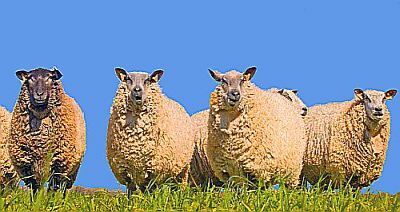 According to the passage in Leviticus 27 you cannot choose which sheep belong to Yahweh! He will choose His sheep. What we can do is be a good sheep and follow. Don’t get me wrong, I am not saying to be passive. There is a place and time to go forth out of the pen. There has to come a time when we see what needs to be done, and we help work toward the goal to achieve it. By following the call of the Father to be one with Him as well as being one with each other, we will look out for our brother’s best interests. We must be people of action! Look again at Micah 2:12 and move on to verse 13. · passed the gate and went out. · Adonai was leading them. The one who broke through was not Yahweh and the breaking through was not a bad thing. After the one broke through, the sheep followed the King! After they broke out it was declared that Yahweh was leading them! The one breaking through is for YOU! Did Yahweh break through? In a manner of speaking, yes but He uses men who are yielded to Him to do it! If you are following the King and He tells you that you can break out of your situations and circumstances do you believe Him? Do you believe that no matter what you face you have the authority and the power to overcome them? There are many things yet to face in this life. In order to overcome you must hold on to the Father and His word with all you’ve got. · (9) And the great dragon was cast out, that old serpent, called the Devil, and Satan, which deceiveth the whole world: he was cast out into the earth, and his angels were cast out with him. · (10) And I heard a loud voice saying in heaven, Now is come salvation, and strength, and the kingdom of our God, and the power of his Christ: for the accuser of our brethren is cast down, which accused them before our God day and night. · (11) And they overcame him by the blood of the Lamb, and by the word of their testimony; and they loved not their lives unto the death. · and bear witness to Yeshua. Know this, the battle is not over. However, you have the means to break out and overcome! Know the voice of your Shepherd and follow after Him with all you’ve got! YOU CAN DO IT! We are a peculiar people! We say this but we really don’t fully understand what is really being said. We think of peculiar as something a little strange. Well, maybe we are, but the point is this means much more than we typically think it does. 1. Appropriate; belonging to a person and to him only. Almost every writer has a peculiar style. Most men have manners peculiar to themselves. 2. Singular; particular. The man has something peculiar in his deportment. 4. Belonging to a nation,system or other thing, and not to others. PECU'LIAR, n. Exclusive property; that which belongs to a person in exclusion of others. The word peculiar reveals one more aspect of being set apart to the Father. Peter (Kefa in Hebrew) tells us we are peculiar and that will affect how we conduct our lives. (2) and be like newborn babies, thirsty for the pure milk of the Word; so that by it, you may grow up into deliverance. (3) For you have tasted that Adonai is good. (5) you yourselves, as living stones, are being built into a spiritual house to be cohanim set apart for God to offer spiritual sacrifices acceptable to him through Yeshua the Messiah. (6) This is why the Tanakh says, "Look! I am laying in Tziyon a stone, a chosen and precious cornerstone; and whoever rests his trust on it will certainly not be humiliated." (7) Now to you who keep trusting, he is precious. (8) also he is a stone that will make people stumble, a rock over which they will trip. They are stumbling at the Word, disobeying it -- as had been planned. (9) But you are a chosen people, the King's cohanim (priesthood), a holy nation, a people for God to possess! Why? In order for you to declare the praises of the One who called you out of darkness into his wonderful light. (10) Once you were not a people, but now you are God's people; before, you had not received mercy, but now you have received mercy. Peter says that Yeshua is the living stone and we are living stones! Everything that the Father gave Him, He gave to us! Everything that He did while he walked the earth, He did because it was the heart of the Father being given to the people through Him. If we are living stones we are to be used to build a living structure. In scripture, when stones were used to build Holy Structures (like an altar) it had to use stones that were untouched by instruments of steel. The people could not carve out stones to use. They had to use stones that the Father had cut, formed and fashioned. The idea is that when we build something to glorify the Father and it is dedicated as Holy, it is according to His desires and specifications. We cannot approach the Father by our ideas and our ways. If we are to build a Holy structure for the Father, we must use Holy stones. This was not a new idea, Peter was quoting what Moses wrote in Exodus. (1) In the third month after the people of Isra'el had left the land of Egypt, the same day they came to the Sinai Desert. (2) After setting out from Refidim and arriving at the Sinai Desert, they set up camp in the desert; there in front of the mountain, Isra'el set up camp. (4) 'You have seen what I did to the Egyptians, and how I carried you on eagles' wings and brought you to myself. (6) and you will be a kingdom of cohanim for me, a nation set apart.' These are the words you are to speak to the people of Isra'el." (7) Moshe came, summoned the leaders of the people and presented them with all these words which Adonai had ordered him to say. (8) All the people answered as one, "Everything Adonai has said, we will do." Moshe reported the words of the people to Adonai. Moses came to the people and presented them with what the Father wanted for them. He said that if we will pay close attention to what He says, THEN we will be a special treasure and the Kingdom of Priests. The people responded with we will do everything that YHWH said! The people accepted what they were about to be given. They received the Word before it was even given to them. Do we accept the word the same way? Do we receive the word for all it is before we even have the chance to come up any preconceived ideas about it? Later Moses testifies that the people did accept and the Father did call them His treasure. For thou [art] an holy people unto the LORD thy God, and the LORD hath chosen thee to be a peculiar people unto himself, above all the nations that [are] upon the earth. (16) This day the LORD thy God hath commanded thee to do these statutes and judgments: thou shalt therefore keep and do them with all thine heart, and with all thy soul. (19) And to make thee high above all nations which he hath made, in praise, and in name, and in honour; and that thou mayest be an holy people unto the LORD thy God, as he hath spoken. From G4046; acquisition (the act or the thing); preservation: - obtain (-ing),peculiar, purchased,possession, saving. to shut up; wealth (as closely shut up): jewel, peculiar (treasure), proper good, special. Yeshua calls His people a special treasure. (43) Then the righteous will shine forth like the sun in the Kingdom of their Father. Whoever has ears, let him hear! (44) "The Kingdom of Heaven is like a treasure hidden in a field. · and bought that field. (45) "Again, the Kingdom of Heaven is like a merchant on the lookout for fine pearls. (46) On finding one very valuable pearl he went away, sold everything he owned and bought it. The treasure was out in the field (wilderness) and was found by the Father (brought to Him). Much later the people were dispersed through exile and were hidden again. They are coming to the Father again and are being revealed. In joy, in order to purchase the special treasure (you) He gave what was precious to Him and was His everything. His Son! He gave what was precious in order to redeem you and bring you to Him! A person may have gold and a wealth of pearls, but lips informed by knowledge are a precious jewel. Remember knowledge in scripture doesn’t just mean a “head knowledge” it means an experiential knowledge of Him! To experience Him involves Him giving us His word and Spirit. The result is we will gain wisdom, knowledge and understanding. (18) Wisdom is a tree of life to those who embrace her; happy are those who hold her tightly. (19) By wisdom the LORD founded the earth; by understanding He created the heavens. (20) By His knowledge the deep fountains of the earth burst forth, and the dew settles beneath the night sky. (22) for they will refresh your soul. They are like jewels on a necklace. (23) They keep you safe on your way, and your feet will not stumble. (16) See, I have written your name on the palms of My hands. Always in My mind is a picture of Jerusalem's walls in ruins. (17) Soon your descendants will come back, and all who are trying to destroy you will go away. The Father will draw you to Him, redeem you, call you His own special treasure and polish you up! (1) He showed me Y'hoshua the cohen hagadol (high priest) standing before the angel of Adonai, with the Accuser [Hebrew: Satan] standing at his right to accuse him. (2) Adonai said to the Accuser, "May Adonai rebuke you, Accuser! Indeed, may Adonai, who has made Yerushalayim his choice, rebuke you! Isn't this man a burning stick snatched from the fire?" (4) who said to those standing in front of him, "Take those filthy garments off of him." Then to him he said, "See, I am taking your guilt away. I will clothe you in fine robes." (5) I said, "They should put a clean turban on his head." So they put a clean turban on his head and gave him fine robes to wear, while the angel of Adonai stood by. (7) "Adonai-Tzva'ot says this: 'If you will walk in my ways, obey my commission, judge my house and guard my courtyards; then I will give you free access among these who are standing here. (8) Listen, cohen gadol Y'hoshua, both you and your colleagues seated here before you, because these men are a sign that I am going to bring my servant Tzemach [Sprout]. 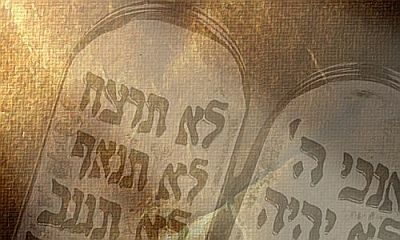 · I will engrave what is to be written on it,' says Adonai-Tzva'ot; 'and I will remove the guilt of this land in one day. (10) When that time comes,' says Adonai-Tzva'ot, 'you will all invite each other to join you under your vines and fig trees.' "
When the children of Israel crossed over Jordan, they were to take twelve stones, one for each tribe, and plaster them and write on them. I believe this also relates to Ezekiel 11 and 36 as well as Jeremiah 31 by saying that the Word of YHWH will be written (engraved) on you! After the stones were plastered they were engraved. Do you know what they were engraved with? The word of YHWH! Now, if you are to be the living stones, and the heart of stone you once had was replaced with the Father’s heart, and He engraved His word into you by His Spirit, let us stand as well as a living monument! To build a living structure, to testify of YHWH and His Glory being revealed through our lives! I also believe that the seven eyes spoken of above, could also be translated as seven facets. It reminds of the seven spirits that will be on the Messiah! As a special treasure you will receive a special inheritance. (10) and will put into effect when the time is ripe -- his plan to place everything in heaven and on earth under the Messiah's headship. (12) so that we who earlier had put our hope in the Messiah would bring him praise commensurate with his glory. (14) who guarantees our inheritance until we come into possession of it and thus bring him praise commensurate with his glory. Remember, being that special treasure comes by coming the Father and being obedient to His word. (16) Then those who feared Adonai spoke together; and Adonai listened and heard. A record book was written in his presence for those who feared Adonai and had respect for his name. (17) "They will be mine," says Adonai-Tzva'ot, "on the day when I compose my own special treasure. I will spare them as a man spares his own son who serves him. (18) Then once again you will see the difference between the righteous and the wicked, between the person who serves God and one that doesn't serve him. Lastly remember, You have been redeemed! You do not belong to you! You belong to the one who redeemed you! He will always be with you and will guard and protect you! · you will not be scorched -- the flame will not burn you. your Savior -- I have given Egypt as your ransom, Ethiopia and S'va for you. · and because I love you. · For you I will give people, nations in exchange for your life. (5) Don't be afraid, for I am with you. Jeremiah 6:16-19 Here is what Adonai says: "Stand at the crossroads and look; ask about the ancient paths, 'Which one is the good way?' Take it, and you will find rest for your souls. The problem is we cry out for the Father to reveal His ways to us and when He does, we don’t want it. We often like words from the prophets in scripture. They are full of mystery, depth of questions and splendor. We may even like trying to figure out some of the prophecies. They are like riddles to us. There is not one thing wrong with diving into the word of YHWH. Where we get in trouble is when we mishandle or misinterpret it. As for the prophets, the Father said he will speak to them. Amos 3:7 Adonai, God, does nothing without revealing his plan to his servants the prophets. Moses said he wished all were prophets. Numbers 11:29 But Moshe replied, "Are you so zealous to protect me? I wish all of Adonai's people were prophets! I wish Adonai would put his Spirit on all of them!" What did Rabbi Shaul (Apostle Paul) say regarding prophesying? We see later more reason for Prophesy in the body. 1 Corinthians 14:24-26 But if you all prophesy, and some unbeliever or uninstructed person enters, he is convicted of sin by all, he is brought under judgment by all, (25) and the secrets of his heart are laid bare; so he falls on his face and worships God, saying, "God is really here among you!" (26) What is our conclusion, brothers? Whenever you come together, let everyone be ready with a psalm or a teaching or a revelation, or ready to use his gift of tongues or give an interpretation; but let everything be for edification. To prophesy is not something magical or mystical. It is speaking or singing by the inspiration from the Ruach HaKodesh (Holy Spirit). From H5012; a prophet or (generally) inspired man: - prophecy, that prophesy, prophet. The pictograph first shown (right to left) is a picture of a seed, or a fish swimming quickly, meaning sprouting life or quickening of life. The middle letter is a picture of a tent or house representing what is inside. The dwelling or “house” of YHWH. the last letter (on the left) represents strength and power from the work performed by the animal. This pictograph also represents a chief or other leader. When two oxen are yoked together for pulling a wagon or plow, one is the older and more experienced one who leads the other. Within the clan, tribe or family the chief or father is seen as the elder who is yoked to the others as the leader and teacher. Combined these mean "seed inside". A fruit hides the seeds inside it. And it comes forth in strength and power. It is the seed planted inside a man that gives him his strength. In keeping with how I started this out, we’re hearing a lot in this time about sending prophets to bring the word. I feel we are not going to get much more “new spiritual revelation” until we learn to obedient to the words the prophets have already spoke. We need to Repent for our hearts not searching out the Fathers will and not searching the word we already have. I feel that there are some, not all, who truly want a deeper relationship with the Father. It is not as hard as we make it. The Father Himself encouraged us that we can do it! It seems our first step is to turn our hearts to Him and start learning how to walk in His ways. Many want to see what God can do for them, others want to spend time with Him and learn how to be in a relationship with Him. Psalms 103:7 He made his ways known to Moshe, his mighty deeds to the people of Isra'el. Do we want to know about the Father? To look at things that were done on our behalf? Or would we rather be there in His Presence communing with Him? Sometimes we reason ourselves out of simple obedience to the word. Do we want a clear cut no need for interpretation Word of YHWH? Or do we want the things we can try to manipulate to say something wonderful about ourselves? All of the word we have is meant for us to walk in and follow, and it is not difficult. 2 Timothy 3:16-17 All Scripture is God-breathed and is valuable for teaching the truth, convicting of sin, correcting faults and training in right living; (17) thus anyone who belongs to God may be fully equipped for every good work. 2 Peter 1:20-21 First of all, understand this: no prophecy of Scripture is to be interpreted by an individual on his own; (21) for never has a prophecy come as a result of human willing -- on the contrary, people moved by the Ruach HaKodesh spoke a message from God. therefore, you can do it! When the father speaks we need to listen. Remember out of the mouth come what is in your heart. Matthew 12:34 You snakes! How can you who are evil say anything good? For the mouth speaks what overflows from the heart. If we are to watch what comes from our mouth, how much more should we pay attention to what came from the mouth of YHWH. Matthew 4:4 But he answered, "The Tanakh says, 'Man does not live on bread alone, but on every word that comes from the mouth of Adonai' "
Deuteronomy 8:2-3 You are to remember everything of the way in which Adonai led you these forty years in the desert, humbling and testing you in order to know what was in your heart - whether you would obey his mitzvot or not. (3) He humbled you, allowing you to become hungry, and then fed you with manna, which neither you nor your ancestors had ever known, to make you understand that a person does not live on food alone but on everything that comes from the mouth of Adonai. So, how does what we say tie in with prophecy and prophesying? We need to place the word on our hearts, so deep inside of us that it is the natural outward expression of our heart. When we speak, we speak who we really are. In those times we let our guard down and we get to see what is really in there, what do we see? Are we willing to receive what the Father speaks to us out of the expression of His heart. Or, will we only receive what we want and what just allows us to feel good and continue in our sin? In the Torah that Moshe wrote! Next to Yeshua, Torah is the clear concise accurate word we are to learn how to walk in. (7) But it isn't that way with my servant Moshe. He is the only one who is faithful in my entire household. he sees the image of Adonai. So why weren't you afraid to criticize my servant Moshe?" How awesome, to have the testimony of speaking face to face with the creator of the universe! Furthermore, he wrote down all the things that were told to him! Are we willing to follow it? Yeshua said that if we believed Moses, we would believe Him! John 5:46-47 For if you really believed Moshe, you would believe me; because it was about me that he wrote. (47) But if you don't believe what he wrote, how are you going to believe what I say?" Yeshua said if we are properly reading what was written, we would see him all through it! We need to take the veil off that lies over our heart toward the Restoration of the ways of the Father and walk the way He said to walk. 2 Corinthians 3:14-18 What is more, their minds were made stonelike; for to this day the same veil remains over them when they read the Old Covenant; it has not been unveiled, because only by the Messiah is the veil taken away. (15) Yes, till today, whenever Moshe is read, a veil lies over their heart. (16) "But," says the Torah, "whenever someone turns to Adonai, the veil is taken away." (17) Now, "Adonai" in this text means the Spirit. And where the Spirit of Adonai is, there is freedom. (18) So all of us, with faces unveiled, see as in a mirror the glory of the Lord; and we are being changed into his very image, from one degree of glory to the next, by Adonai the Spirit. Notice this passage is speaking specifically about The old covenant, Torah, and in the messiah the veil is removed to see it clearly. Nowhere does this say that the Torah is taken away or obsolete. Yeshua said He came to show us how to walk in the Torah, the right way. Without a lot of man made traditions, but walking upright before a Holy God. Matthew 5:16-19 In the same way, let your light shine before people, so that they may see the good things you do and praise your Father in heaven. (17) "Don't think that I have come to abolish the Torah or the Prophets. I have come not to abolish but to complete. (18) Yes indeed! I tell you that until heaven and earth pass away, not so much as a yud (י ) or a stroke will pass from the Torah -- not until everything that must happen has happened. Our Messiah, Yeshua, validated and upheld the Torah because it was the word that was spoken by the Father. Yeshua said He would only do what the Father said! John 12:48-50 Those who reject me and don't accept what I say have a judge -- the word which I have spoken will judge them on the Last Day. (49) For I have not spoken on my own initiative, but the Father who sent me has given me a command, namely, what to say and how to say it. (50) And I know that his command is eternal life. So what I say is simply what the Father has told me to say." The Father is not Schizophrenic, nor does He change, He will not contradict Himself. If we really want to walk in His ways, look at the straight forward word He gave and Yeshua reinforced. Not face to face, that would be paniym el paniym. This is mouth to mouth! The Father placed His words in Moses’ mouth and in turn Moses spoke it to the people. The Father spoke and breathed the word and Spirit (breath that accompanies words) of Himself into the breath and spirit of Moshe, who in turn imparted it to the People! Exodus 4:15-16 You will speak to him and put the words in his mouth; and I will be with your mouth and his, teaching you both what to do. (16) Thus he will be your spokesman to the people, in effect; for you, he will be a mouth; and for him, you will be like God. Isaiah 51:16 I have put my words in your mouth and covered you with the shadow of my hand, in order to plant the skies [anew], lay the foundations of the earth [anew] and say to Tziyon, 'You are my people.' "
Isaiah 59:20-21 "Then a Redeemer will come to Tziyon, to those in Ya`akov who turn from rebellion." So says Adonai. (21) "And as for me," says Adonai, "this is my covenant with them: my Spirit, who rests on you, and my words which I put in your mouth will not depart from your mouth or from the mouth of your children, or from the mouth of your children's children, now or ever," says Adonai. Jeremiah 1:9 Then Adonai put out his hand and touched my mouth, and Adonai said to me, "There! I have put my words in your mouth. Jeremiah 5:14 Therefore Adonai Elohei-Tzva'ot says: "Because you people speak this way, I will make my words fire in your mouth, [Yirmeyahu,] and this people wood; so that it will devour them. John 5:43 I have come in my Father's name, and you don't accept me; if someone else comes in his own name, him you will accept. John 6:44-45 No one can come to me unless the Father -- the One who sent me -- draws him. And I will raise him up on the Last Day. (45) It is written in the Prophets, 'They will all be taught by Adonai.' Everyone who listens to the Father and learns from him comes to me. John 14:10 Don't you believe that I am united with the Father, and the Father united with me? What I am telling you, I am not saying on my own initiative; the Father living in me is doing his own works. Before Yeshua left this world He prayed for His Disciples. Then He told them to go. This prayer was one of power, equipping and authority. May you receive this for yourself today. John 17:6-17 "I made your name known to the people you gave me out of the world. They were yours, you gave them to me, and they have kept your word. (7) Now they know that everything you have given me is from you, (8) because the words you gave me I have given to them, and they have received them. They have really come to know that I came from you, and they have come to trust that you sent me. (9) "I am praying for them. I am not praying for the world, but for those you have given to me, because they are yours. (10) Indeed, all I have is yours, and all you have is mine, and in them I have been glorified. (11) Now I am no longer in the world. They are in the world, but I am coming to you. Holy Father, guard them by the power of your name, which you have given to me, so that they may be one, just as we are. (12) When I was with them, I guarded them by the power of your name, which you have given to me; yes, I kept watch over them; and not one of them was destroyed (except the one meant for destruction, so that the Tanakh might be fulfilled). (13) But now, I am coming to you; and I say these things לּwhile I am still in the world so that they may have my joy made complete in themselves. (14) "I have given them your word, and the world hated them, because they do not belong to the world -- just as I myself do not belong to the world. (15) I don't ask you to take them out of the world, but to protect them from the Evil One. (16) They do not belong to the world, just as I do not belong to the world. -- your word is truth. Believe, the one word that most of us would say sums up our faith. It is, without any question, essential to our spiritual foundation. Before we could even come to repentance we need to believe that Yahweh is who He said He is, and that we need Him. We need to believe that Yeshua is the Messiah before we can receive Him as Messiah. Believing is essential to our walk with our Father and our Savior. That is however, the starting point of our walk. It’s interesting to note the first time we see “believe” in scripture it is negative. Moses is telling YHWH no one would believe that He sent him. Furthermore, if they won’t believe they won’t receive. If they won’t receive, they won’t be obedient. If they won’t be obedient, they will doubt and mock. Notice how Moses says they will say “The LORD hath not appeared unto thee.” In order to understand what Moses was saying let’s take a quick look at the Hebrew. The Hebrew word used here for Believe is “AMAN”. A primitive root; properly to build up or support; to foster as a parent or nurse; figuratively to render (or be) firm or faithful, to trust or believe, to be permanent or quiet; morally to be true or certain; once (in Isa_30:21; by interchange for H541) to go to the right hand: - hence assurance, believe, bring up, establish, + fail, be faithful (of long continuance, stedfast, sure, surely, trusty, verified), nurse, (-ing father), (put), trust, turn to the right. Moses was telling the Father that the people would not build up, support, or be faithful to the message he was to give them. He further says they won’t receive or be obedient to it, an essential part of receiving their deliverance. The word he uses for hear is “SHMA”. Moses was saying that he knew it was necessary not only to believe but to act on that belief. If you believe that YHWH is God, and Yeshua is the son of God and is God, great! But that is only a starting point! If we think believing is the extent of our salvation or our walk with the Father, we are missing something. James goes on to say that if we believe we will be acting on that belief. James 2:20-23 How foolish! Can't you see that faith without good deeds is useless? (21) Don't you remember that our ancestor Abraham was shown to be right with God by his actions when he offered his son Isaac on the altar? (22) You see, his faith and his actions worked together. His actions made his faith complete. (23) And so it happened just as the Scriptures say: "Abraham believed God, and God counted him as righteous because of his faith." He was even called the friend of God. The next point we need to make is that the same Hebrew word used to say believe, is also translated and used as faithful, as seen in; Numbers 12:6-7 He said, "Listen to what I say: when there is a prophet among you, I, Adonai, make myself known to him in a vision, I speak with him in a dream. (7) But it isn't that way with my servant Moshe. He is the only one who is faithful in my entire household. The Hebrew language is rich with a seemingly endless wealth of information. One thing we see in Hebrew is a lot of acronyms. An example of this is what the Hebrew equivalent of the phrase “old testament” what we call the old testament they call “Tanakh” this is a three letter word “תנך ” it stands for Torah, Prophets (Nevi’im), and writings (Ketuvim). Here we have another degree of believing. What do we believe? The word used here for believe is where we get the word “amen” from. When we say “amen” we are saying it in an agreement with what is being said. But, there’s more to it than that. Aman is also an acronym. When we say Amen, we are saying that YHWH is the faithful King! We believe that He is faithful and true! The first time we see the word “believe” in scripture was in Exodus. The Hebrew word “aman” was used before that. Genesis 15:6 He (Abraham) believed in Adonai, and he credited it to him as righteousness. Abraham believed that YHWH was faithful and that the one who called him and separated him out from the nations would keep His word. Because he believed, he followed the direction of the Father. YHWH Himself says of Abraham, Genesis 26:4-5 And I will increase your seed like the stars of the heavens, and I will give to your seed all these lands. And all the nations of the earth shall bless themselves in your Seed, (5) because Abraham listened to My voice and heeded My charge, My commands, My statutes, and My laws. The Father said that not only was believing essential to walking with Him, In order to walk with Him you have to act on that belief. Many today want to walk in the abundance of blessing that the Father wants for His children. They don’t however want to be obedient to His word that He gave us to walk in after we believe. Peter tells us that if we believe, we will be obedient to His word. 1 Peter 2:7-8 Unto you therefore which believe [he is] precious: but unto them which be disobedient, the stone which the builders disallowed, the same is made the head of the corner, (8) And a stone of stumbling, and a rock of offence, [even to them] which stumble at the word, being disobedient: whereunto also they were appointed. Notice how Peter says to those who believe the Messiah is precious. He then contrasts that statement with those who are disobedient. He is saying that if you believe, you will be obedient. If you do not believe, you will not be obedient. Yeshua said that if we believed the word we were already given, we would believe Him. Yeshua said that if we really were reading His Torah the way Moses wrote it for us, we would see Him all through it. Moses was revealing the character of the Father and the Messiah, Yeshua. If we do not believe (have faith in) what Moses wrote, we will not fully be able to believe (have faith in) what Yeshua told us. We live in a day and age when it is crucial to our lives to be able to listen to the guidance of the Father, revealed in Yeshua, speaking and leading by the Ruach HaKodesh (Holy Spirit). Our first step is to believe! Now that we believe, we need to examine what we believe in. Some people feel that just believing will cause them to walk victoriously in the earth. We need to believe! We also need to act! Over and over in scripture we see promises that were given to His people. Many are given with a disclaimer, “If you”. Now that we believe, let us be equipped to act on that faith by the word of the Living God, in His Son Yeshua HaMoshiach, by the Ruach Hakodesh (Holy Spirit)! How many of us have gone through what we would call a “wilderness experience”? 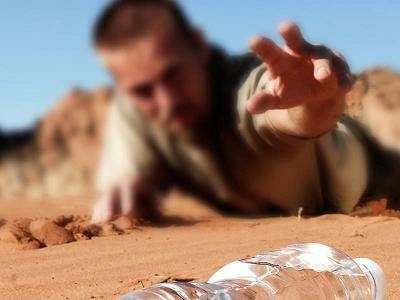 There are times in our life that we feel we are going through a very dry desert. We yearn for the refreshment of a flowing spring of pure water. The only way to describe what we feel would be to say we are feeling “dry” or “alone.” We may even feel the heavens are silent to our cries of desperation. These are very difficult times in our life when we need to stand on the very promises in the scripture. One thing is certain we will never be forsaken by our Father. Even in these times of hardship, we need to understand that our Father loves us and He has promised to lead us through these hard times. If we allow ourselves to go through this experience we will come to the promise He is leading us to. What is hard to say is that even in the times when we don’t “feel” like our Father is leading us, He Is Leading Us. Psalms 37:23-24 Adonai directs a person's steps, and he delights in his way. (24) He may stumble, but he won't fall headlong, for Adonai holds him by the hand. Going through the wilderness is exactly that, going through it. This is a process that we may be able to go through quickly, or it may take us time. When we are going through these times we must approach our lives, decisions and choices in a manner that glorifies the Father in all things. This is something we all know but at times need reminded of it. The hardest thing for a man to control is his mouth. We need to speak the word and promises of the Father in these times. The words you speak have much more impact on your own life than one would think. Psalms 19:14 May the words of my mouth and the thoughts of my heart be acceptable in your presence, Adonai, my Rock and Redeemer. King David understood the impact of the words we speak, even while in the wilderness. He knew that there was a connection between the things we let come out of our mouth, and our heart. Messiah Yeshua reiterated this when He spoke. Luke 6:45 The good person produces good things from the store of good in his heart, while the evil person produces evil things from the store of evil in his heart. For his mouth speaks what overflows from his heart. Our Father does not want us to suffer, to be hurt, to know hunger, or pain. He will allow us to go through difficult times though. In the end He will bring us through and we have hope. We were never promised a life free of trials and tribulations. What is given to us though is the ability to look at our heavenly Father, and ourselves. We come to the Father to submit ourselves to Him wholly and without reservation. When we are going through tough times, it is a good time to look at ourselves to see if we are growing up in the knowledge of our Messiah, or are we still an infant whining because we are uncomfortable and want something that may not benefit us. · and to find out whether or not you would obey His commands. · and then feeding you with manna, a food previously unknown to you and your ancestors. · He did it to teach you that people do not live by bread alone; rather, we live by every word that comes from the mouth of the LORD. (4) For all these forty years your clothes didn't wear out, and your feet didn't blister or swell. (5) Think about it: Just as a parent disciplines a child, the LORD your God disciplines you for your own good. Matthew 4:4 But he (Yeshua- Jesus) answered, "The Tanakh (the Scriptures) says, 'Man does not live on bread alone, but on every word that comes from the mouth of Adonai' "
In Hebrew there is a connection between the wilderness experience and what we allow to come out our mouths. This, as we have seen is really the overflow of what is in our hearts. We can’t allow something to come out of our mouth and then say “I didn’t mean it” or” I was just kidding”. If we said it, we meant it. I believe we may not have intended to hurt someone, but what we say often times reveals our character, even to us. Proverbs 26:18-19 Like a madman shooting deadly arrows and firebrands (19) is one who deceives another, then says, "It was just a joke." Matthew 5:37 Just let your 'Yes' be a simple 'Yes,' and your 'No' a simple 'No'; anything more than this has its origin in evil. Matthew 12:36-37 Moreover, I tell you this: on the Day of Judgment people will have to give account for every careless word they have spoken; (37) for by your own words you will be acquitted, and by your own words you will be condemned." The Hebrew word for being in the wilderness is בְּמִדְבַּר – (beh-meed-bar). This is one of those times where we see something in the original language that we would otherwise miss. The Hebrew for “in the things we say” is במדבר (beh-meh-dah-bear). If you look at it, it is the same word! There is a definite connection to being in the wilderness and being very mindful of the things we speak while we are there! To make it a little more interesting, let’s look a little further. In our weekly studies we will be starting a new book this Tuesday (May 16, 2009). We will be reading and studying the book of Numbers. The Hebrew name for the book of numbers is - בְּמִדְבַּר – (beh-meed-bar). We call it numbers because it starts with a census. However, by calling it Numbers, we lose some of the meaning of the book as a whole. The Hebrew name for the book is literally “In the Wilderness”. By calling it the proper name, it causes us to think of what the emphasis for the work would be. I see two things, one, while in the wilderness the Father still leads. The other would be to very mindful of what we say while we are on that journey. Since the things we say originate from the heart, which would be our attitudes, it influences the way we say what we say. Let’s look a little further into this point. What are some things we see in this book? A lot of grumbling and complaining, the Father provided food, but we wanted filet mignon. A lot of rebellion and false accusations, Korah led a revolt against Moses because he was offended that he wasn’t chosen to be leader when he was already a priest from the tribe of Levi, from the house of Kohath, who were the chosen ones to carry the Holy pieces of furniture from within the Tabernacle. Korah had a position of responsibility, he wanted something else. Miriam spoke out against Moses because she did not approve of his wife. She was struck with leprosy. The people grumbled and complained against where the Father had them in their walk with Him, and He sent fiery serpents against them. The twelve were dispatched to check out the land and came back divided. They were no longer twelve, but ten against two. Two held to the promise that if Yahweh led me and He says I will fulfill my calling, I WILL DO IT! Ten got lost in their life circumstances and fell prey to looking at the world and its’ wisdom. They lost sight of the promise because they were looking at their life by the standards of the world. All of these are good examples of how to watch our tongue. There is however one more point that needs to be made. We also need to be careful of how we respond to others when they are saying and doing things that they shouldn’t. Moses was mad at the people and called them a bunch of rebels when he was overtaken by his anger and struck the Rock when he was only supposed to speak to it. The result of this was Moses not being able to enter the land that was promised to them. Sometimes we need to walk our lives out in faith. Feelings and emotions are good, but they were not given to us to lead our lives by. We need to walk in faith and on the promises all contained in the full counsel of the word of the LORD. Our Father will never lead us astray from His promise or His word. He gave us the Holy Spirit (Ruach HaKodesh) to lead us along the way. Let’s follow Him in this life journey, and be thankful every day for all the blessings we have received. We can all enter His gates with thanksgiving and His courts with praise. Once there, He will invite us to the banquet prepared for us. You are cordially invited. Shalom, We have been talking a lot lately in our congregation about the correlation between covenant and seeing the Glory of the Father. Yeshua HaMoshiach (Jesus the Messiah) gave us some good advice to follow about looking at ourselves, and the revealing of our character. We will speak what is in our heart, as well as Yeshua spoke what was in His heart. He said His heart was to be about the Fathers business, and it was not His own words He spoke but the words of the Father. That statement causes me to think, if our messiah said the mouth speaks what is in the heart, the words He spoke were not His own but the Fathers. Where else did the Father speak. In Exodus (Shemot in Hebrew) 19 and 20, it is said God spoke to the entire nation. This is significant because it seems every religion looks back on the “spiritual enlightenment” of one individual as their starting point. Here at the mountain the Father spoke to EVERY individual, the whole nation. What other people can say that? So, He broke the silence and spoke to everyone. His heart for His people from the beginning was for every person to have an intimate relationship with Him and to hear His voice. The problem is, the people backed off out of fear. Now, the Father will speak to Moses and Moses will deliver the heart of the Father to the People. Remember out of the mouth the heart speaks, so when the Father spoke, He spoke His heart. The words He spoke revealed His heart and Character to His people. Today we receive our Messiah as the living word of God! When the Father spoke, he spoke of His son. John chapter 1 says in the beginning was the word, the word was with God and the word was God, He became flesh and walked among us. Leviticus 17:11 KJVR For the life of the flesh is in the blood: and I have given it to you upon the altar to make an atonement for your souls: for it is the blood that maketh an atonement for the soul. The other half of the blood was splashed on the people signifying the life of the Father being put on the people. While this was being done there was an awesome declaration being made. Moses declared “behold the blood of the covenant!” This sounds very similar to what is said by Yeshua later. Our Messiah understood covenants and came to set a covenant in place for us. Matthew 26:28 For this is my blood, which ratifies the New Covenant, my blood shed on behalf of many, so that they may have their sins forgiven. Something wonderful happened after the people entered into the covenant. Moses, Aaron, Nadab, Abihu, and seventy elders (seventy represents the nations in the word) were called up to the mountain to eat a covenant meal. Scripture says they ate and drank and they SAW THE GOD OF ISRAEL! This is an amazing statement! How could these men see God and live when scripture states none can see God and live? Exodus 33:20 But my face," he continued, "you cannot see, because a human being cannot look at me and remain alive. Baruch Hashem B’Yeshua HaMoshiach! –Bless the name of Yeshua the Messiah! We are in a famine! The second is what I feel to share with you today. Amos 8 defines the famine we are in at this time. Amos 8:11-12 "The time is coming," says Adonai Elohim, "when I will send famine over the land, not a famine of bread or a thirst for water, but of hearing the words of Adonai. (12) People will stagger from sea to sea and from north to east, running back and forth, seeking the word of Adonai; but they will not find it. The time we are in is by no means a lack of Bibles, or even preachers and teachers. The time we are in is a famine of people willing to receive the Word of the LORD, and actually apply it to their lives and do the word. When you “DO” the Word you will “BE” the Word. Our Savior told us to go out and be the light of the world and make disciples of all men (nations) [ Matthew 5:14, Matthew 28:19-20.] We should be a people set apart with a cry that David made many years ago, “thy word have hid in my heart that I might not sin against thee.” We may often say or quote this but do we mean it? To hide the Word in our heart is to develop the close intimate relationship daily with the one who gave us everything. As we get closer to our Savior, He will continue to be faithful to speak to us through His Word, and in prayer. Do we spend time with Him just to be with Him because we love and adore Him? He has given us His Word in order to show us how to walk an overcoming life in this world by His Spirit, through the building up of His body. Yeshua told us if we love Him we will do what he taught. John 14:23-24 Yeshua answered him, "If someone loves me, he will keep my word; and my Father will love him, and we will come to him and make our home with him. (24) Someone who doesn't love me doesn't keep my words — and the word you are hearing is not my own but that of the Father who sent me. As well, he told us the words he taught were not His own, but that He was completely obedient to the Father and said only what he was given to say. The second part of what we are discussing is Amos 8:12 from above. If we are looking for what we think is the word, instead of the Word itself, will we find it? We need to approach the Word without a preconceived idea of what we think we know. We can look all around for what we told the Father to give us. What do we do when we don’t find it? Are we agreeing with the Word He gave us by His Spirit? Or, are we telling God how to run our lives, and serving Him when and how we feel like it. Now back to the idea of David putting the word inside him so deep that it actually became a part of him. This is a lot easier than we think. We make life so hard. How many of you still tie your shoes and have to say the little rhyme you learned while doing it? You know the bunny ears, the bunny going around the mountain and through the tunnel, etc. Here’s one better, when you walk do you have to say “OK right, now left, now right, now left?” You do not. Why? Because when you were a child you learned these few basic concepts and now they are such a part of you, so ingrained in you, that you no longer need to think about it. You just automatically do it! The kingdom principles of the Word follow the same concept. You are not reacting to the “circumstances” around you! You are walking in complete faith in your God, because you know Him intimately. Furthermore, you know He promised to abide in you! Now you are walking day by day in His Word fulfilling the scripture that the steps of a righteous man are ordered of the LORD! Do you realize that when you develop that close, intimate relationship He desired with you, you are automatically going out and “doing” and “being” the Word of the LORD to a world that is lost and dying. You are now making disciples of all men because everywhere you go, you are spreading the light, life and love that only comes from Him! It really isn’t hard to be obedient to the one you love. He gave us all He had so we could have everything! After all, isn’t He your everything?